Ron LaRochelle was born in Masset, Haida Gwaii. His family crest is Raven. 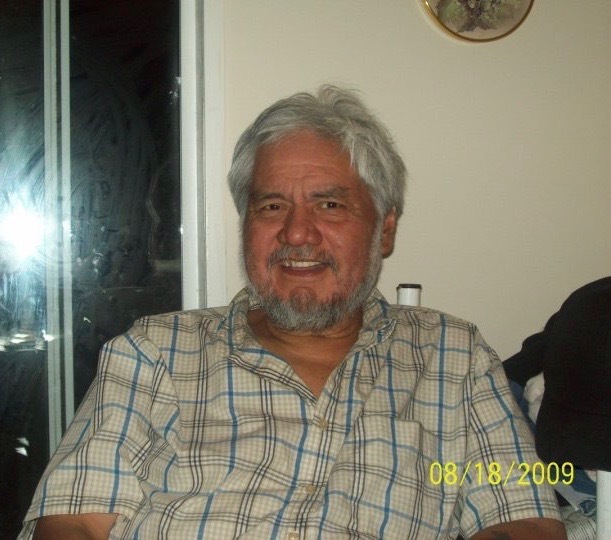 Ron spent many hours watching Haida craftsmen as he grew up on the island. Ron is proud to be able to continue a long history of Haida culture. He acknowledges the influence of Robert and Claude Davidson in his design. Ron trained with Clarence Wells for 28 years in cutting and printing of t-shirts and prints. Ron also has over 25 years experience in appliquéd clothing and design work, as well as the production of button blankets and ceremonial regalia. Click to view Ron's artwork.